The plastic industry of any country encompasses all the activities which go into the manufacturing of polymer materials. The plastic industry in India is a huge industry. From manufacturing to the selling of these manufactured plastic products, there is a large percentage of the population, which is attached, either directly or indirectly, with this industry. This sector is also one of the sectors which provides maximum employment opportunities to the people of India. The potential of this industry in the Indian context is huge and it is hoped that in the coming years, some great new records will be broken by this industry. The future for this industry in India is being projected as prosperous by all trade and manufacturing analysts. Based on the data produced by the various plastics industry news forums, the size of this industry is expected to hit the Rs 10.7 lakh crore mark by the end of 2015. This figure has been arrived at by taking into account the past years’ trends and the growth in the demand for the plastic products. There has been a marked increase in the consumption of plastic, with different industries now using plastic for the manufacture of their varied products. The current level of the plastic industry stands at Rs. 1.02 Lakh crore. This industry is currently growing at the rate of 20% growth rate which is compounded annually. 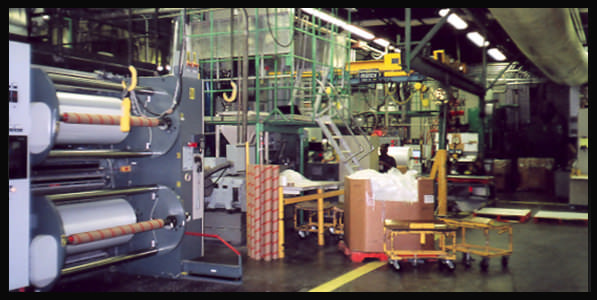 The use of plastic in the manufacture of varied products and in the packaging industry has increased significantly. This is sure to increase the demand and consequently the manufacturing of plastic in the country. The increase in demand for plastic, due to the above mentioned reason, is expected to increase from the current level of 10 MMT to 10 MMT (million metric tonnes). The consumption of plastic in India is believed to be around 4 million metric tonnes and the waste produced along with amounts to around 2 million metric tonnes. It is expected that in the next five years, the industry will double its per capita consumption. It is also expected and hoped that the manufacturing capacities in India will increase their production capacities to 15.2 MMT from the current average of 10.4 MMT, in order to match to the increased future demand for Plastic from within India. The plastic industry news states that this industry in Indi has been growing at the rate of 13% per annum and it is expected to continue to grow in double figure in the future as well. From a global point of view as well, the Indian plastic industry is a growing market. India consumes 11 MMT of plastic annually as compared to the overall world consumption of 275 MMT per year. Therefore, there is huge scope for growth in this sector from a global point of view as well.